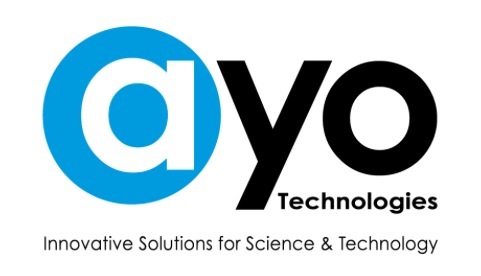 Cryo-Protection – AYO Technologies Inc.
AYO Technologies is proud to work with Tempshield and distribute it’s full range of Cryo-Protection products. Tempshield promises to put your safety first by developing and manufacturing the highest-quality cryogenic personal protection products. Guaranteed. Tempshield has delivered on this promise from the start, when we pioneered an innovative design for high-quality, cryogenic personal protective apparel. We launched the first cryogenic glove in 1980, and since then Tempshield has continued to specialize in the exclusive development and manufacture of cryogenic personal protection apparel (PPE). Tempshield’s focus on cryogenic safety led to the development of a line of personal protection products known worldwide for outstanding workmanship, maximum thermal protection, dexterity, and comfort. To ensure Tempshield’s high standard of quality, we monitor every phase of production from product development to distribution at our state-of-the-art facility located in the United States. Tempshield’s innovative design for thermal protection apparel and unsurpassed workmanship has earned us the trust of the leading medical and scientific firms worldwide. Tempshield personal protective apparel includes Cryo-Gloves, Waterproof Cryo-Gloves, Cryo-apron, Cryo-industrial Gloves and Cryo-industrial Aprons. Cryo-Gloves provide a high level of thermal protection from direct contact with cold objects and in cold atmospheres where there is no risk of exposure to cryogenic fluids. Waterproof Cryo-Gloves provide a high level of thermal protection in cryogenic atmospheres where the exposure to cryogenic fluids might exist. Cryo-Apron provides thermal and splash protection to the torso and legs. Cryo-Industrial Gloves and Aprons provide a high level of thermal protection and abrasion resistance in cryogenic atmospheres where the exposure to cryogenic fluids might exist. When safety and dexterity are paramount, people who work in hazardous ultra-cold environments are confident Tempshield products will keep them safe and protected. Our cryogenic gloves and aprons are designed for maximum thermal protection, dexterity, and comfort. Each product undergoes a rigorous series of inspections to ensure you have the very best thermal protection available.